Apple set to launch six variants of iPhone this year, iPhone Pro and iPhone XE? Apple over the years has been steadily increasing iPhone line up. In 2018, Apple launched three iPhone models and credible rumours claim that Apple would be launching 6 new phones this year, in 2019. Three phones that would be upgraded versions of the iPhone XS, iPhone XS Max, and iPhone XR. However, rumours say that Apple is working on three other phones of screen sizes 4.8, 6.1 and 6.5 inches respectively. They will feature the OLED technology. The 6.1 and 6.5 inches should have a thinner chassis, triple-camera setups, reverse wireless technology and 18W Lightning-to-USB-C fast chargers. The 6.5 inch iPhone is dubbed as iPhone Pro, and it’ll probably be the most expensive iPhone in the line up. Some are speculating that the iPhone Pro will also support 5G technology. The price is expected to reach about US$ 2000, which seems to be expensive. Apple might also be looking to revamp it’s budgeted smartphone, or upgrade the iPhone SE. Last year, there were speculations about a successor for the iPhone SE be launched, and it would be called iPhone SE 2. New rumours surfaced online this year predict that the iPhone SE’s successor would be called iPhone XE. It’ll come in 4.8 inch display with a notch on the top. 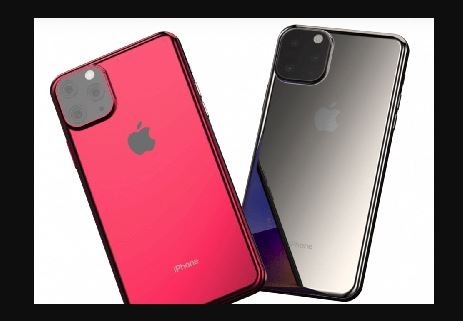 It’s expected to have the Liquid Retina display of the iPhone XR and a 12-megapixel single rear camera. It’ll be priced below US$ 750. Apple set to launch six variants of iPhone this year iPhone Pro and iPhone XE?